Foragable Community | Promoting public participation in local foodways. What is a Foragable Community? Building a resilient future together through food and community. 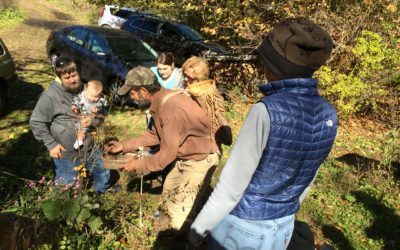 A foragable community is a collective of community members working together to increase the public’s active participation in local foodways in order to enhance the sustainability and resilience of their region. A collective of community members, led by local food businesses, working together to educate themselves and others about local foodways through community-based education programs and public events. Use our resources to learn more about how foodways education enhances community resilience and and how you can get started developing teaching materials and designing events for your region. Community groups and individuals interested promoting sustainable gardening and farming, local food and seasonal eating, and the natural and cultural history of the region are all potential partners for local food businesses. Are you interested in becoming a Foragable Community Catalyst? Get in touch with us to find out more about how we can support a Foragable Community startup in your area. 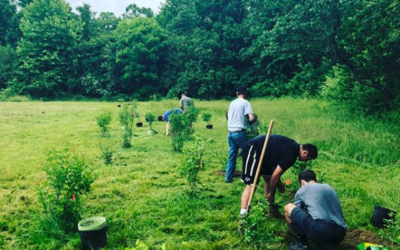 Through funding from Foragable Community, Fonta Flora was able to plant over 30 native paw paw tress and create a beautiful flowing native plant educational area on May 25th. 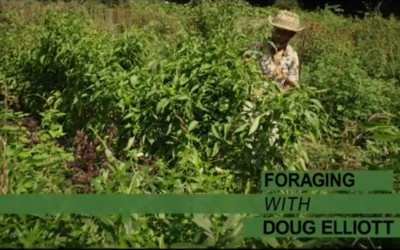 Join Foragable Communities’ Ethnobotanist Partner Doug Elliott as he forages through the landscapes of North Carolina, sharing history, foraging, and preparation tips for a variety of plants.